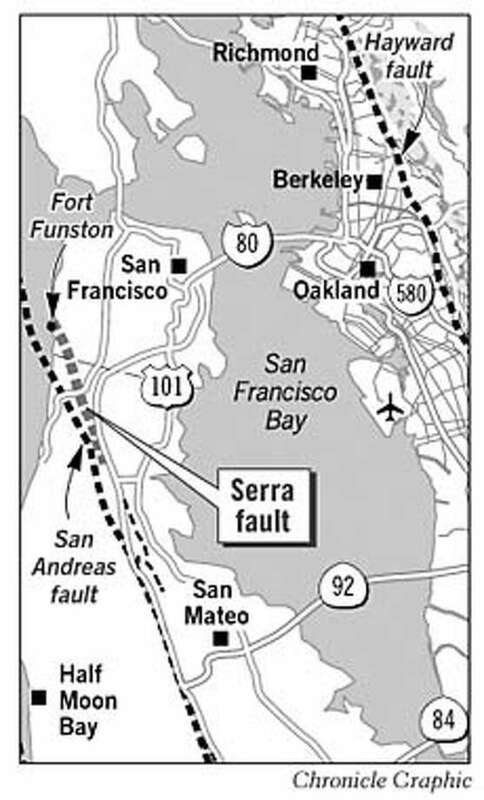 The Serra Fault is a 20km long thrust fault that runs through eastern San Mateo County. It is approximately 1.5-3 km NE of the San Andreas Fault. The most recent major rupture along the Serra Fault occurred in the Quaternary period.